Pregnancy & Parenting Support of San Luis Obispo » How Can I Help? Pregnancy & Parenting Support of San Luis Obispo County (PPSSLO) relies exclusively on donations from community members, businesses, churches and organizations, and local grantors for funding to provide our compassionate services for pregnant women, their infants and family. 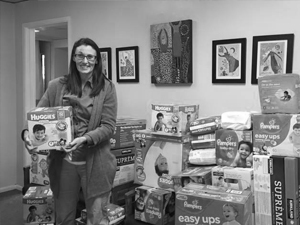 These donations include money, mother and baby items, and your time. We promise to use your donation wisely to ensure a good start for the youngest members of our community. Click one of these links for more information about donations or volunteering.